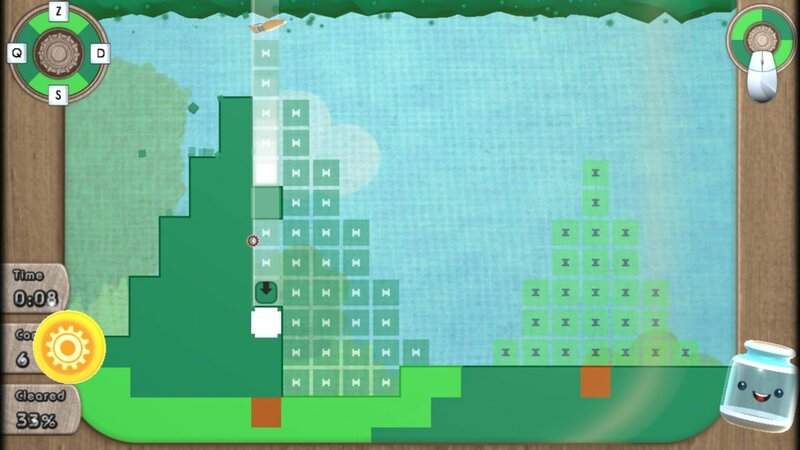 There is an interesting nugget of an idea at the core of Puzzle Box, a game where you place colors on a grid to complete pixel-art like pictures, then complete platforming and other puzzle-like challenges on them to get coins and progress to more levels. All of its game modes could've been tweaked to make them more fun and new mechanics should've been added to make the game not feel stale. As-is, it's not a really good game, I was intrigued by its core concepts, but quickly lost interest. The game seems like it has a lot of puzzles, which is usually a good thing in that kind of game, but here I feel like that sheer number is a detriment; The puzzles aren't different enough from each other, they re-use the same mechanics of dropping colors and don't add any kind of new obstacle, power-ups or differentiation of any kind along the way. I felt after playing the first three worlds that I had seen everything the game had to offer, and if there was more, it didn't show it at all. 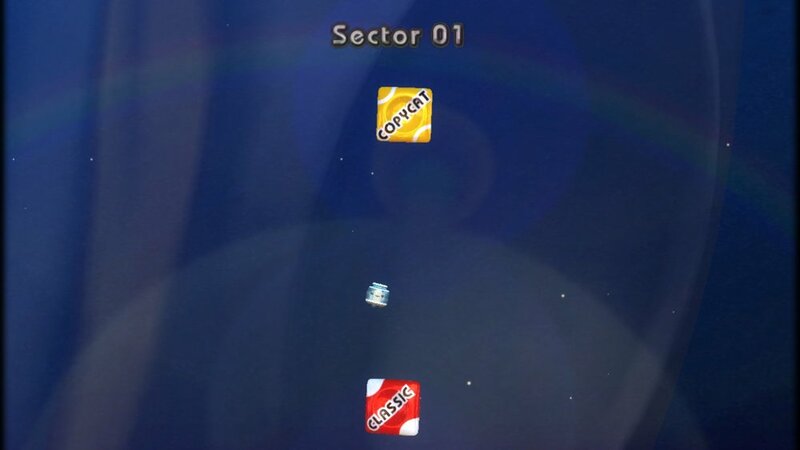 The game works like this; you go through space, picking levels in various sectors. 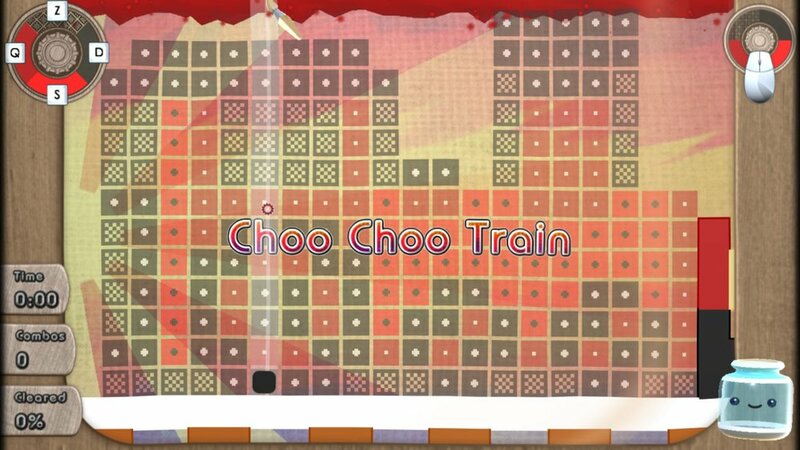 Levels can be 'Copycat' or 'Classic', copycat levels require you to assemble a picture on a static screen while classic ones have you go on a moving picture, which pits you against the clock. The level select screen isn't that great, you have to fly around and it's possible to just grossly overshoot where you want to go, it should've been a more standard menu. In classic and copycat mode, the screen goes by itself and you mash the WASD keys (that the game thinks are AZERTY keys by default for some reason) to drop colored blocks on matching outlines. The goal is go to as fast and accurate as possible and the game kinda fights you on that front. In classic mode, the movement of the screen makes it so your mouse aiming at a specific column is iffy at best and you need to move it ever so slightly, I kinda wish that the mouse would keep aiming at the same column until I had manually moved it. Another issue I have with the controls is that the marker for block placement is a down arrow so you're tempted to hit the down key to drop blocks, I wish it shown the letter you have to hit. That would make this more of a speed and precision game than it is right now. 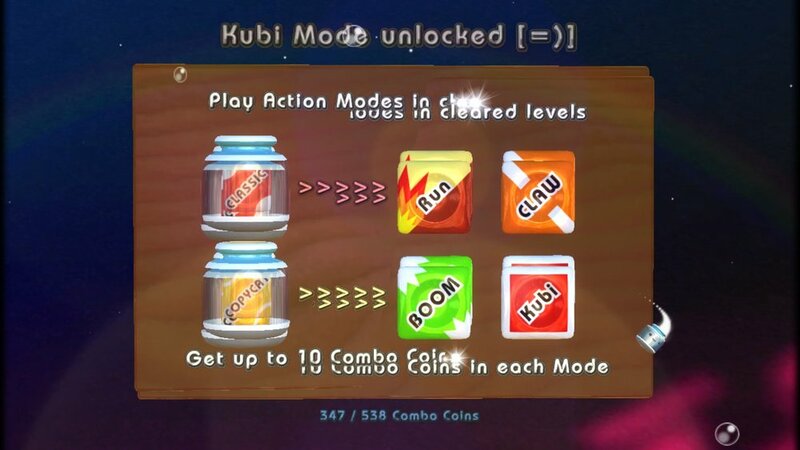 When you complete a level, you can replay it in different ways. 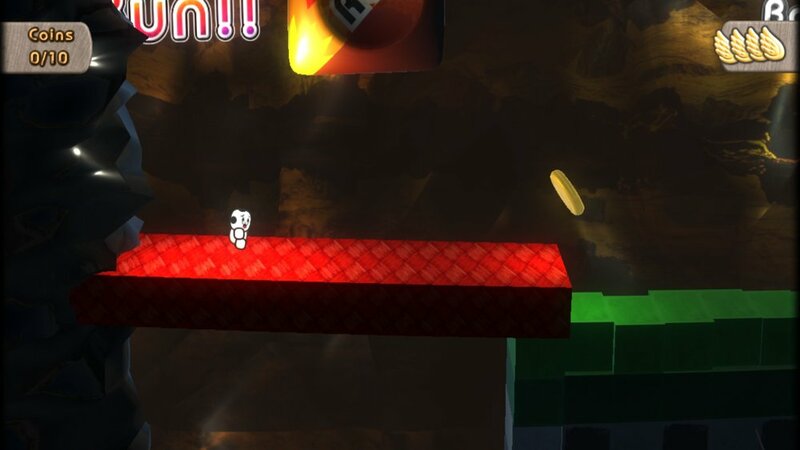 There's a runner-like platformer where I wasn't sure what were the rules, how long I had to run on the level, if I needed to collect coins or not, so it wasn't fun. There was also another weird mode where you had to collect butterflies and guide a dog to a bowl, I think. Also not very well explained, and not fun to play. Finally there's a node where you drop bombs to try and destroy your pixel creation, but it's rendered unfun by its lack of strategy. 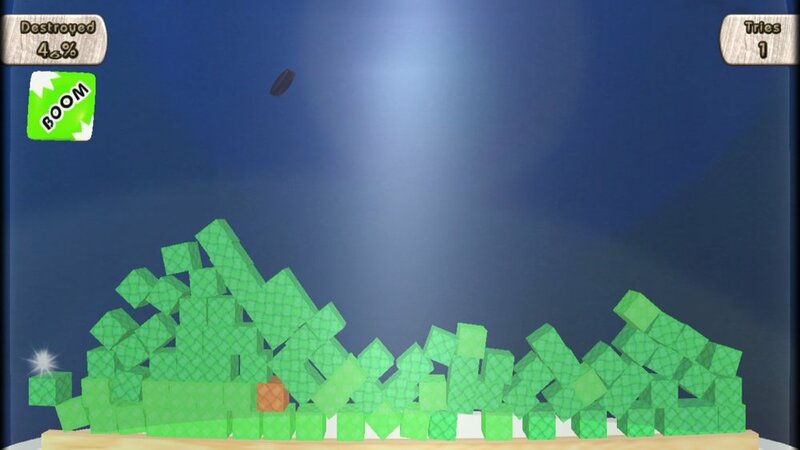 There are no special blocks that you should aim to succeed at the demolition, no weak spots to break like in games such as angry birds, you just drop bombs and hope for the best. I really couldn't get into Puzzle Box at all, there were plenty of issues for me in all of its core gameplay systems and the main drive to keep seeing more lost its glitter when I realized that there was probably nothing else past a certain point. I couldn't go past world 3; The aesthetics of the game weren't enough to keep it interesting.